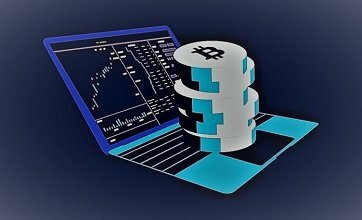 Cryptocurrencies have been in the financial market and have gained traction for over a decade. But it was only after Bitcoin’s meteoric rise in 2017 that the idea became a global phenomenon. There are superb opportunities for people to invest and gain value over a period of time in the cryptocurrency market. How are these digital currencies stored? Cryptocurrencies like Bitcoins are stored in cryptocurrency wallets. Every transaction record is maintained to determine the actual value of cryptocurrency. Paper – Nothing; just write the necessary key info in a piece of paper and safeguard it. Paper wallets are easy to misplace. Software – Software cryptocurrency wallets can be downloaded from the web on to your desktop or smartphone. The disadvantage with these wallets is they are vulnerable to hacking. Hardware – Hardware wallets for cryptocurrency transactions are an ideal choice, to protect yourself your digital money from cyber attacks. These wallets store private keys and critical data on an external device rather than on a software which vulnerable to snooping and hacking over the web. Hardware wallets are considered the safest to store cryptocurrencies because the sensitive data is stored offline. They are convenient to use, and portable too. Given below is a list of 5 most secure hardware cryptocurrency wallets for 2019. 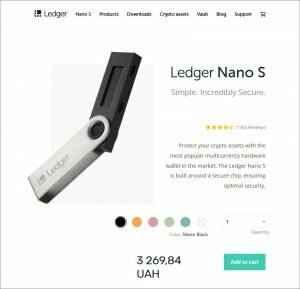 Ledger Nano S was released in the market in 2014 but has gained visibility as one of the leading hardware wallets in the market today. Priced at $100, the Ledger Nano S is considered as one of the best hardware wallets today. It is easy to use, portable and can hook up to any USB port to record or view cryptocurrency transactions. The Ledger Nano S offers ‘Cold Storage’ data recording, which means sensitive information like private keys, transaction records etc are kept offline. This means that it is nearly impossible to get into or hack the Ledger Nano S from the web. Sensitive information records will remain in the hands of the currency owner. The device is designed with a secure chip engineered to withstand sophisticated hack attempts. Your private keys are safely embedded in the device. In addition to this, it offers Multi-cryptocurrency support. It is also scalable to store large amounts of bitcoins or other crypto assets over a long period of time. The best feature is its ability to backup and restore. The confidential recovery command will backup your ledger Nano S and the account can easily be restored on any authorized device. So, you don’t have to fear cryptocurrency loss. Trezor may be slightly more expensive than the Ledger Nano S, but it comes with a two-step security feature in addition to offline storage for added protection. It does not expose your private keys under any circumstance. The Trezor asks for a unique digital signature for every transaction. The authentication is validated by the push of a button on the device itself. Hence it would be safe to initiate a transaction even on a vulnerable or compromised computer. It is simple to use even if you are not a soft security expert. It is compatible with multiple operating systems like Windows, OS X, and Linux. The Trezor supports multiple wallets like myTREZOR, Mycelium, and Multibit HD. It is easy to connect, and the steps are intuitive and self-explanatory. All you need to do is connect the device and follow the instructions. There are two buttons, one to accept and the other to decline. The interesting feature about Trezor is the advanced cryptographic algorithm that can back up your data in a jiffy and the information can be easily recorded on a piece of paper for recovery in case of data theft or loss. The Trezor’s price can range anywhere from $100 to $179 depending on the area of purchase. KeepKey hardware wallet is capable of storing multiple cryptocurrencies like bitcoin, Ethereum, Litecoin, Dogecoin, Dash, and Namecoin. It is integrated with Shapeshift to facilitate seamless exchange of value among supported crypto assets. The backup process is initiated during setup where a twelve-word recovery sentence is spewed which can be used to recover in the event of an unfortunate data loss. This random twelve-word recovery sentence must be stored safely. It generates your Bitcoin private key using the hardware device along with a random key generator. This way your private keys are safe and uncompromised. This unique storage device asks for a pin for every transaction. Hence, it can be rendered useless if it falls into wrong hands. It comes with a large display screen to avoid digital mistyping and each transaction has to be confirmed manually by pressing the confirmation button. KeepKey is compatible with your PC, Mac, Linux, and Android. It is priced at $99 apiece. Opendime is a hardware wallet that will allow you to spend your cryptocurrency like a dollar bill. Just plug into a USB and spend for any online purchase. The Opendime hardware wallet is like a read-only flash drive. It works on any computer or smartphone. It is also called the first Bitcoin bearer bond. It is based on the blockchain algorithm and is capable of crediting multiplenumbers of times. Each Opendime stick has a private key. It publishes the public key for payment but does not reveal the key until it is unsealed. It is embedded with a QR code and Bitcoin address that holds data about your crypto assets. It is as simple to pass as a handshake. The best part is it comes with Zero miners fee and no confirmation delays. It is a disposable hardware wallet that can be used instead of cash. This is how it works; you can connect the Opendime stick to any USB to check your balance, but will have to unseal the stick to spend it online. It can be purchased from the website Opendime.com. It is affordable and comes in a value pack of 3 for $37.5. 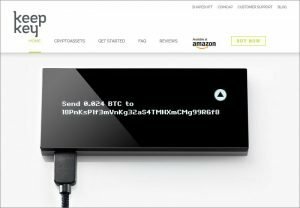 The Swiss made Digital Bitbox is a simple yet a very reliable and secure Bitcoin hardware wallet. It guarantees minimalist design with maximum security. It is a portable plug-and-play hardware device that can be easilyset up. It is priced around €59 a piece. Bitboxcomes with the security of cold storage combined with the convenience of software wallets. The Digital Bitbox comes with features that offer fast backup on to a micro SD card to protect your crypto assets from data loss or theft. The private keys are securely embedded, to prevent hacking or physical extraction. It is extremely durable with an estimated lifespan of 50 years. In order to recover from a data loss, you will have to enter a password, without which it could be useless. So, be smart and save your password in a safe and secure location. The new version of Bitbox app is available to download online. It comes with powerful features to support the hardware like Segwit, Litecoin support and an option to display your crypto assets in 8 major fiat currencies. It has a built-in integrated system that includes coin control and full node integration for security and added privacy.